New Delhi (AsiaNews) – A number of Indian clergymen were released on bail recently because the charges against them in connection with alleged forced conversion were false, said A C Michael, development director for the Alliance Defending Freedom (ADF) India, an association that provides legal advice to persecuted Christians. “As we get closer to celebrate God’s becoming flesh and blood while also remaining God, there are few developments that may need to be mentioned,” said the New Delhi-based activist. Most notably, the Allahabad High Court directed the State of Uttar Pradesh to stop arbitrary arrests of Christians, the ADF continues to protect the fundamental right to practise one’s faith freely, and a number of pastors were granted bail. The first of these cases stems from an incident on 30 October 2018, when a crowd of 30-35 Hindu radicals armed with baseball bats and clubs broke up a prayer gathering in Agra (Uttar Pradesh) and beat up more than 200 people. Many suffered injuries and women were insulted. 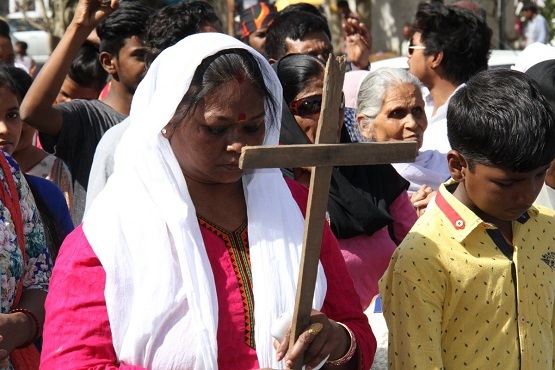 Another incident dates back to 15 October 2017 when a mob crashed a Christian meeting in Mokapal, a village in Dantewada (Chhattisgarh) demanding Christians give up their faith. After the latter refused, they “were mercilessly beaten up, women and children included. Their houses were ransacked.” Police received a complaint against Rev Shukla and other Christians in connection with the incident. The clergyman was arrested but was released on bail on 29 November. The third episode goes back to 26 September in Telo, a village in Jharkhand, where Rev Sikandar Ravidas was charged under the state’s anti-conversion law. On 30 November, the court granted bail to the clergyman as well as to his father and brother. His uncle however is still in jail. What is more, “It is the duty of the state to ensure that its citizens are not stopped from worshipping the faith they believe in. No one should be targeted because of their faith. The release and stay of arrest of these Christians is a step in the right direction and we hope that appropriate action is taken against the violent mobs”.